We’re surrounded with people most of the time—the people we work with, family, friends, romantic partners. Whether we’re aware of it or not, these people all have a tremendous impact on our thinking, being and living. That makes it worth pausing to ask yourself, Are these the people I want in my corner? Here are a few of the different kinds of people who may have an effect on your life. See if any of them seem familiar, and then decide how much influence you want them to hold over you. Remember that it matters who you surround yourself with. People who bring value. Many people in this world desire to help others. They are the makers—the ones who are all about bringing and adding value. They understand that the purpose of our lives is to add value to the people around us. They’re a consistently valuable presence in your life, so make sure you bring value to them as well. People who take from you. Most people are fairly quick to give and a few are wildly generous, but there will always be some who are wholly devoted to taking. They’re the ones who put on a warm friendly exterior to hide their calculated motives. It’s not unusual to have a taker somewhere in your life, but you can set firm boundaries to limit their influence and keep them from draining you. People who expand you. Some people seem to have a gift for building others up. Their faith in you makes you feel you can be bigger, stretch further, achieve more than you ever have. They’re constantly challenging you to be your best as they help you embrace your weaknesses and maximize your strengths. If you’re fortunate enough to have one of these people in your life, consider their influence a treasure and keep them close. People who shrink you. It’s rarely intentional, but some people have a way of letting you know you’ll never be quite good enough or smart enough for them, that you’re not living up to their idea of your potential. They behave in ways that are hurtful and harmful, all in the guise of caring about you. If you’re close to someone like this, it can be painful to realize their true nature. It requires that you be strong and consistently resist their messages, both the subtle and the not-so-subtle. You never know—sometimes the best path to connecting with your own strengths is for someone else to try to take advantage of you. Who’s in your corner? What kind of people do you surround yourself with? Remember that while everyone in your life is there for a reason, you need to know whose influence to embrace and whose to resist. Lead from within: Be picky about the people who you keep around you. You are a product of those you surround yourself with, so make sure it’s the best people. 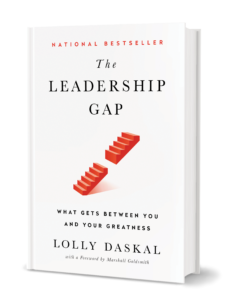 The post The People You Have in Your Corner Matter appeared first on Lolly Daskal.